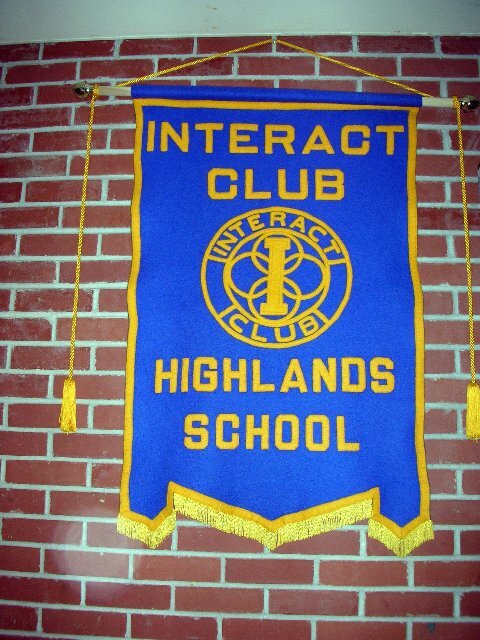 Our club has sponsored an Interact Club at Highlands School for many years. 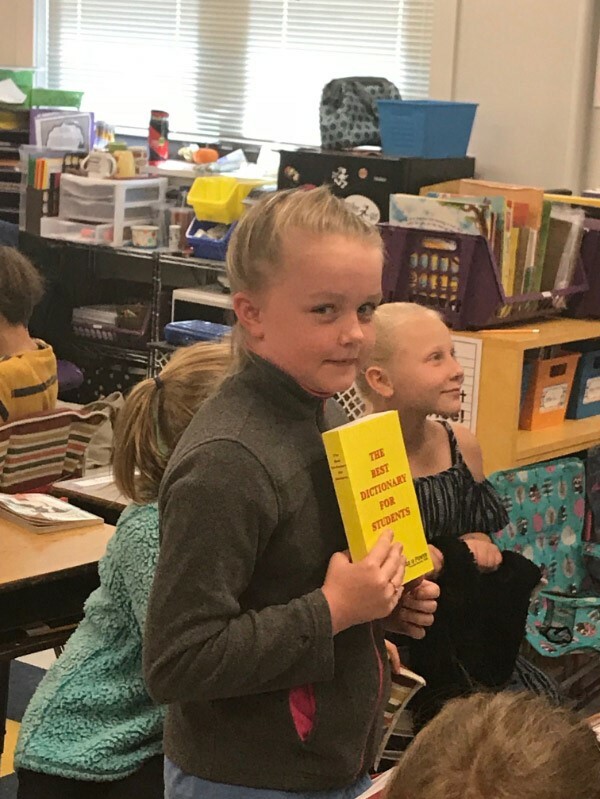 One of our first projects for the 2018-19 school year at Highlands School was to provide dictionaries for all students in the 3rd grade. 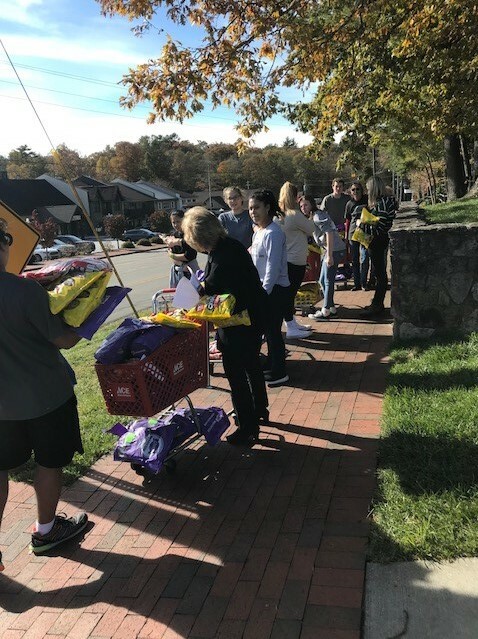 Dictionaries to use and take home. 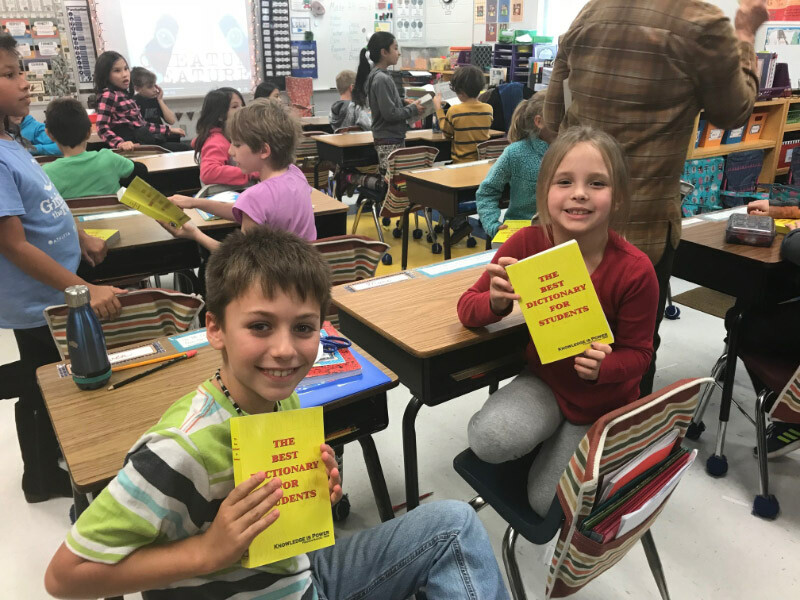 A personalized dictionary for each student. 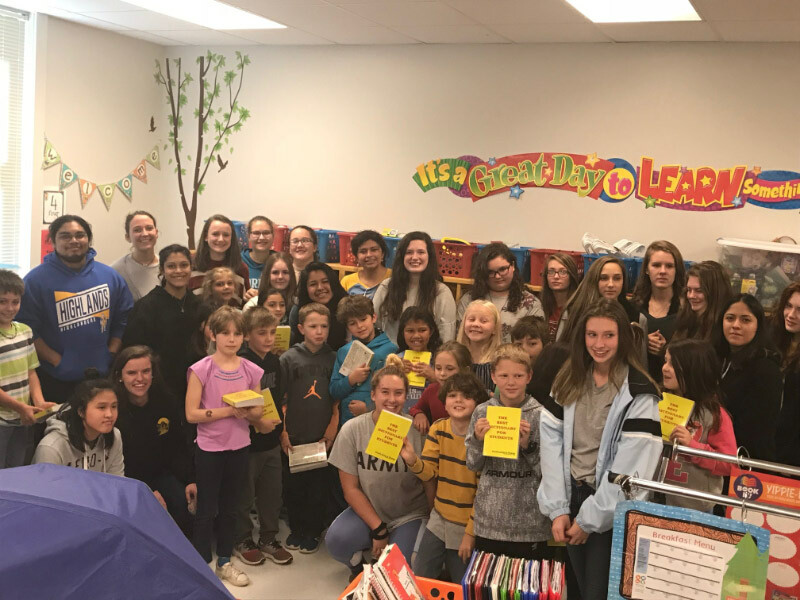 Interact club members and happy third grade students. 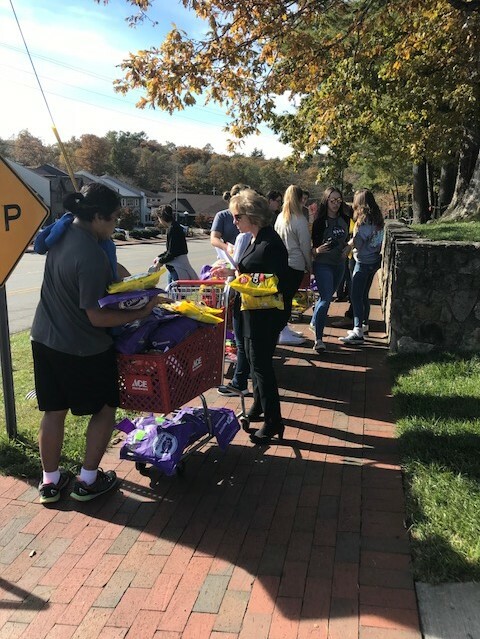 Interact club members distribute candy and other Halloween goodies to Highlands merchants in preparation for the annual Halloween night celebration. 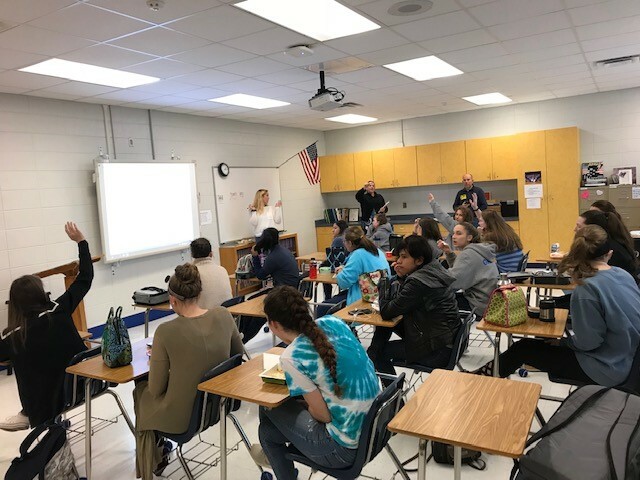 An Interact club meeting in early November, 2018. 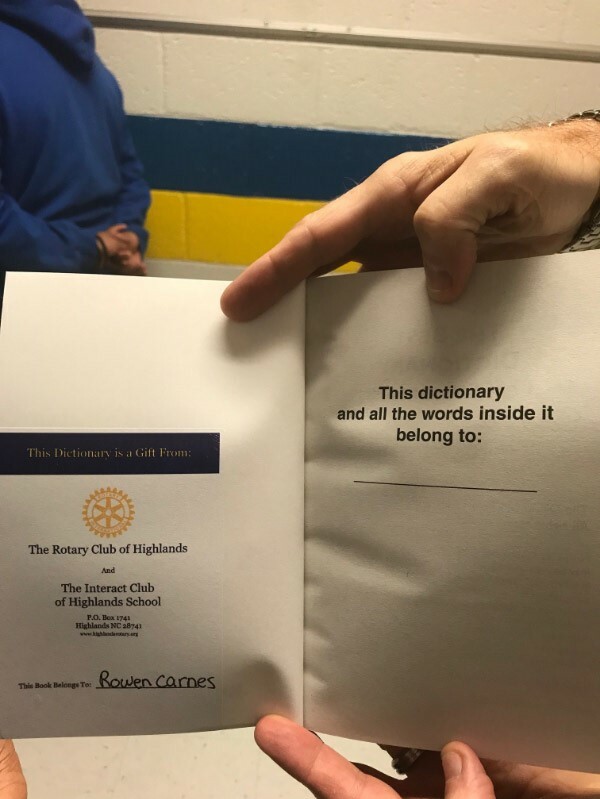 Meetings are held at the school and are attended by Rotary members Keith Crawford and Robin Tindall. 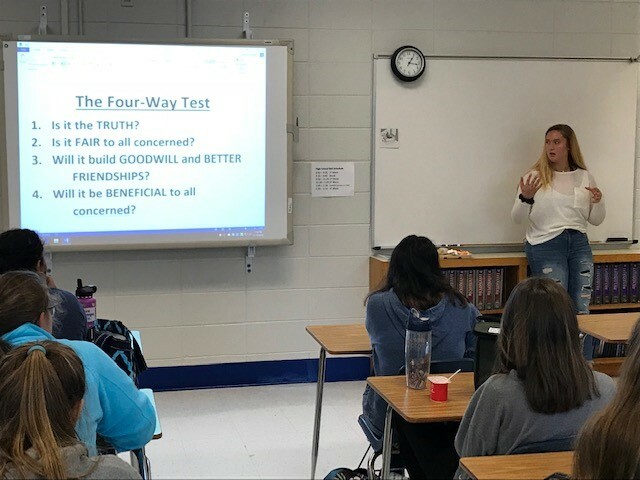 Interact members discuss the Four Way Test. 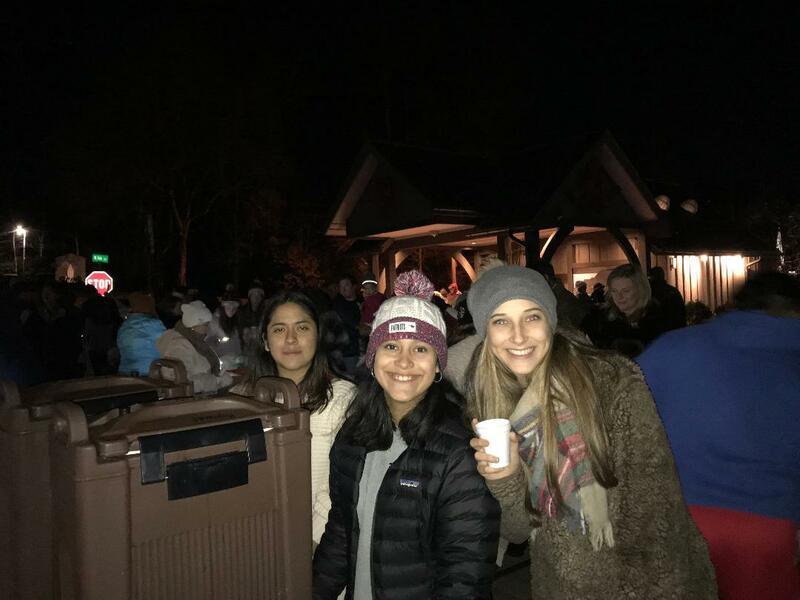 Interact members serve hot chocolate on Main Street on Halloween. 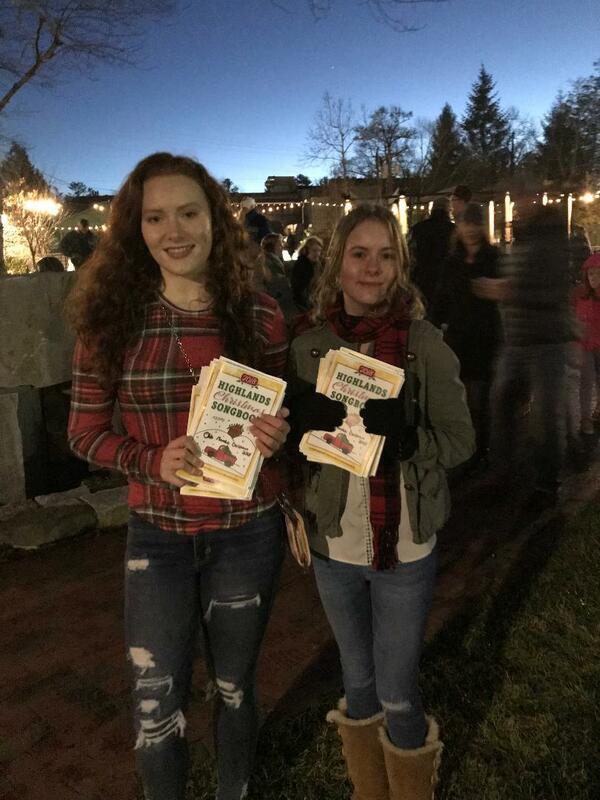 Interact members pass out song books for the Christmas tree lighting event.